I will make sure Precinct Delegates are taken seriously and not just as another vote. Benjamin Soltis grew up in Jackson County just off East Michigan Ave. As a child, he was involved in Cub Scouts, soccer, and basketball. First learning about government at a young age, Benjamin went to a Jackson City Council meeting in order to fulfill a requirement for scouting. 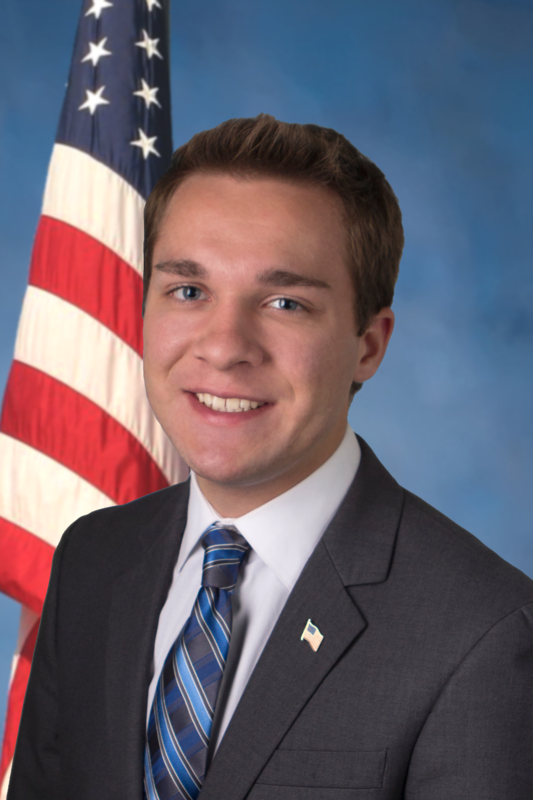 Later attending both Lumen Christi High School and the Jackson Area Career Center, Benjamin wasted no time in learning about his future career while also staying involved in local politics. As he looked toward Information Technology as his, now current, career, Benjamin also knew that politics operated on some of the same principles that technology operates on: technical understanding. Not everyone knows how computers work nor does everyone know how political parties work to win elections. Sometimes, people take both for granted until they fail in their responsibilities to the people. Benjamin knows that not everyone understands computers, nor has the time to figure out politics. That is why Benjamin is committed to being accessible to precinct delegates to not only give you a base understanding of the issues, but to bring them and their talents together to further the goals of our Republican Party. Benjamin also knows the value of hard work and community, taking time to volunteer to help whenever he can. In 2011, Benjamin organized and carried out a Jackson County wide computer recycling project that collected many tons of computer equipment to be recycled in the United States. Under the guidance of his Eagle Scout Project Counselor, current Jackson County Commission Chair Steve Shotwell, the project went so well, it was carried out again in 2013. He earned the rank of Eagle in 2012. First getting involved in the Jackson County Republican party during high school, Benjamin continued to help the party in technological and organizational ways throughout college. After being able to vote, he ran for precinct delegate and has been a attended every state convention since then. During his time in the Grand Valley College Republicans, he helped on many campaigns throughout the state. Benjamin was elected a state officer for the Michigan Association of Business Professionals of America. During his tenure with other officers, the association helped prepare high school and college students to enter into the work force. With friendly competitions between the states to challenge students in their learning, Michigan beat out even the state of Texas in preparing the next generation of Americans. Benjamin spent four years at Grand Valley State University studying Information Systems and specializing in Political Science and Business. Two of those years were spent on the Student Senate, where as part of the Finance Committee, managed a $1.2 million dollar budget each year. No stranger to controversy, Benjamin was successful in getting pepper spray unbanned on campus, correcting the size of the American flag, and making sure Pro-Life materials were available to students. The Student Senate ultimately spread false accusations during a resolution to allow legally owned firearms on campus with a Dean of the college even going as far to call him an “untrained cowboy”. Benjamin currently works at Commonwealth Associates, Inc. in Jackson County and is a member of the Knights of Columbus and the National Rifle Association.